With funding from the Downtown Tax Increment Reinvestment Zone (TIRZ) #3, Buffalo Bayou Partnership maintains and operates the 160-acre Buffalo Bayou Park that stretches from Shepherd Drive to Sabine Street. 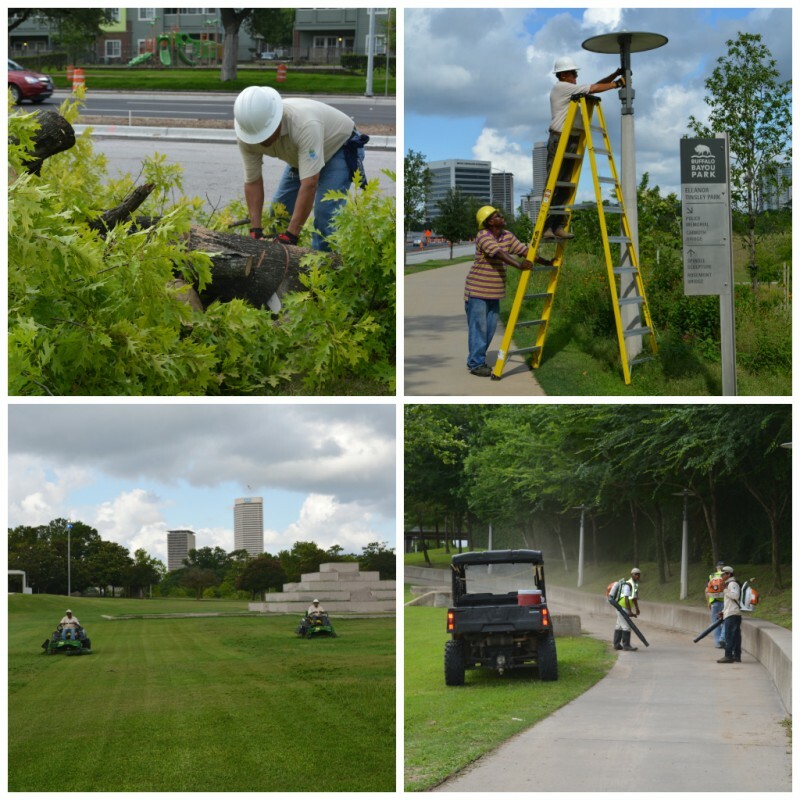 Buffalo Bayou Partnership is also responsible for maintaining the hike and bike trails and green spaces along the waterway from Sabine to Fannin streets, with funding provided by Houston First Corporation and Houston Parks Board. This segment of Buffalo Bayou includes Sabine Promenade (23 acres), Sesquicentennial Park (22.5 acres) and Allen’s Landing Park. To assist with ongoing maintenance and conservation efforts, Buffalo Bayou Partnership relies on thousands of volunteers and community service workers each year to remove weeds and invasive species, plant wildflowers, pick up trash and remove silt from the trails after heavy rains.